Inspiring outdoor experiences, from summit to sea. Relax at a night of winning outdoor adventure films. 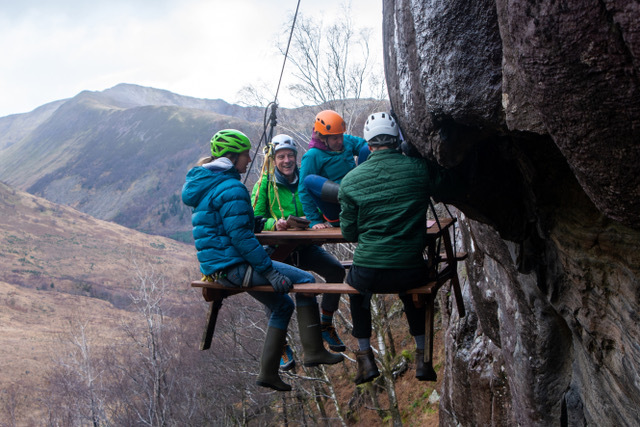 2019 winners of the competition categories will be announced: People's Choice, Best Short Film, Best Mountain Sports Film, Best Exploration and Adventure Film, and John Muir Trust Wild Places Film Prize. This year the new 2019 Young Photographer of the Year Award will also be presented. 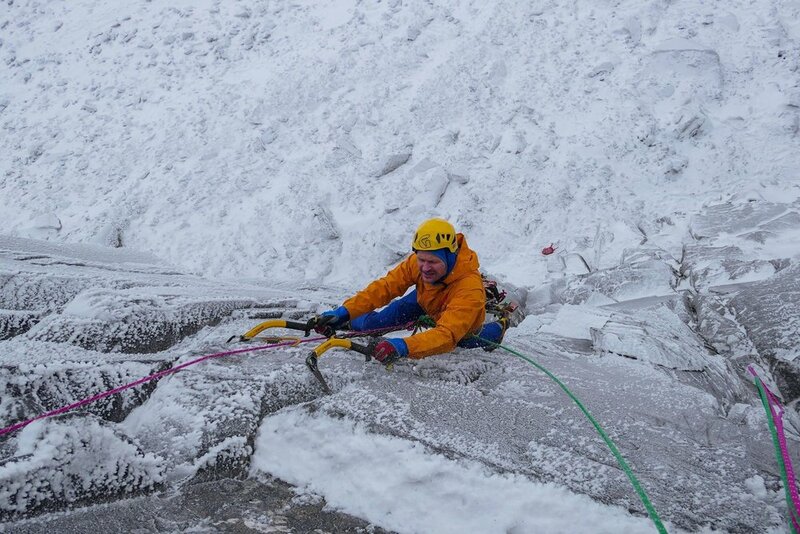 Scottish winter climbers have always been at the forefront of world climbing, and Scottish winters are seen as one of the toughest climbing environments. This evening explores the condition of Scottish Winter Climbing and questions whether the ethical standards we set ourselves produce the best climbers or create an unhealthy elitism. Chaired by Dave MacLeod with guest speakers Simon Richardson and Guy Robertson. In 2016 Jasmin Paris had her biggest running year to date when she ran the 3 long distance UK rounds, the UTMB and World Skyrunning Extreme Series. She then continued to run and race through 2017, when she was pregnant with her daughter Rowan. Jasmin returned to competitive racing in 2018 and won the British Fell Running Championship. Jasmin will share her love of the mountains, and the challenges of staying fit whilst juggling caring for a young baby and working full time as a veterinary scientist. Nicky Spinks, a British long distance runner, specialising in fell running, set women's records for the major fell running challenges the Ramsay Round, the Paddy Buckley Round and the Bob Graham Round. Not long ago, wild forest stretched across Scotland. Beavers lived in extensive wetlands, salmon filled rivers, and lynx stalked wooded glades. Today, Scotland is one of the most ecologically depleted nations. Hear a challenging vison of a wilder Scotland through stunning imagery and visual storytelling. Peter Cairns introduces a rewilding journey and David Heatherington offers a fascinating insight into how lynx and people interact elsewhere, with spectacular wild lynx images by Laurent Geslin. From shiver-bivys to perfect sunsets, Tom’s psyched for it all. Tom Livingstone, a 27-year-old motivated and ambitious climber and writer based in the UK will be presenting on Saturday evening. Along with Slovenians Aleš Česen and Luka Strazar he made the first ascent of the highly sought-after North Ridge of Latok 1 (7,145m) in Pakistan. The North Ridge of Latok 1 has been a prize for generations with over 30 attempts by a variety of highly talented parties. No one has come even remotely near success until now. How did Tom succeed where so many others failed? Listen to Jenny Graham from Inverness who broke the record for a female cycling around the world, knocking almost three weeks off the previous record of 144 days set by Italy’s Paola Gianotti in 2014. Yorkshire Invaders, Sam and Joe Flanagan, have come to Fort William to share the best of their Scottish adventures. Showing a time line of film and photos, from some of their first amateur funny edits to a favourite professional film they have produced for the bike industry. The Festival wouldn’t be complete without the official After Party taking place on the Saturday night. The finest mountain films to entertain, enthral & inspire from the Banff Centre Mountain Film Festival World Tour. The Exhibition Zone opens daily before the main programme events and during intervals. In 2019, the Exhibition will host the Vango Gallery, a collection of evocative images by a Glaswegian artist depicting the wonders of camping and the outdoors. Alongside this will be the usual mix of mountaineering exhibits, books and trade stands including Nevis Landscape Partnership, Nevis Range, Abacus Mountaineering, John Muir Trust, Nevis Cycles, Lochaber and Lorn Ramblers, School of Adventure Studies WHC UHI, Mountaineering Scotland, The Highland Bookshop, Jamie Hageman, Mick Tighe's Mountaineering Exhibition, and Dirt Bags Climbing Equipment. New for 2019, the Fort William Mountain Festival’s Young Photographer of the Year competition is open to anyone aged 17 and under. Applicants have been invited to submit one photograph celebrating the great outdoors, whether that is showing the achievements of people or taking us on a journey to a place that inspires. Two fantastic judges have been secured to search for great outdoor adventure photography – local photography legend and all-round mountain hero Alex Gillespie, and Paul Diffley, adventure filmmaker and founder of Hot Aches productions which works with some of the world’s biggest names in climbing and mountaineering. The winning photographs will be displayed in the Exhibition Zone. The main Presentations and Film Nights take place in the Nevis Centre and for the first time this year the Festival Launch Night will take place on the Fort William High Street. Venues for Workshops and other events can be found on the website.